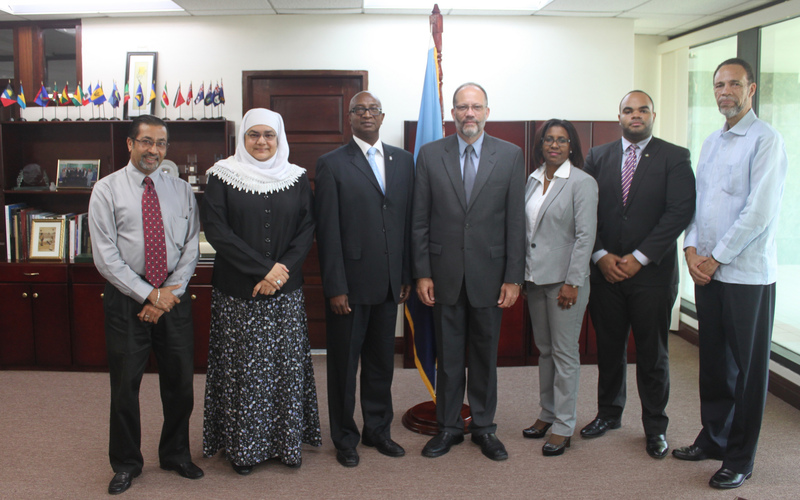 The Secretary-General of the Caribbean Community (CARICOM), Ambassador Irwin LaRocque, met with a delegation from Sint Maarten – one of five Caribbean countries seeking Associated Membership in CARICOM – on Monday 14 September 2015 at CARICOM Headquarters in Georgetown, Guyana. In addition to discussions on the terms and conditions of Associate Membership, the delegation received information on the structure and work of CARICOM and the ongoing reform of the Community and the Secretariat. Sint Maarten already enjoys a good relationship with CARICOM, as it has attended meetings of the COHSOD (Council for Human and Social Development) as an Observer, it participates in the Caribbean Public Health Agency (CARPHA) and offers the Caribbean Examinations Council (CXC) curricula and examinations in its schools. 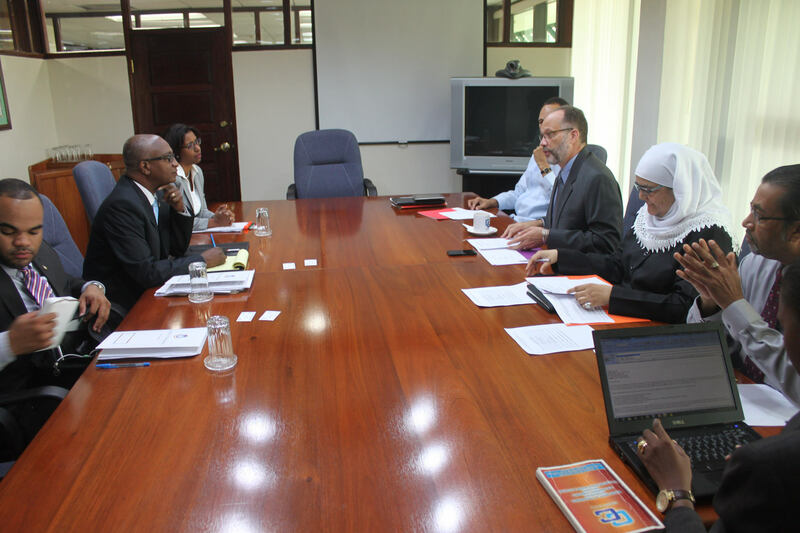 The delegation also met with the technical directorates of the CARICOM Secretariat and representatives of CARIFORUM. The Secretary-General previously met with delegations from French Guiana, Guadeloupe, Martinique and Curacao. The delegation from Sint Maarten was led by Mr Henlsey Plantijn, Secretary General of the Ministry of General Affairs and included Mrs. Jule Panneflek-Vrutaal, Legal Advisor at the Central Bank of Curacao and Sint Maarten, and Mr Patrice T. Gumbs, Jr., Senior Policy Advisor, Directorate of Foreign Relations, Ministry of General Affairs.